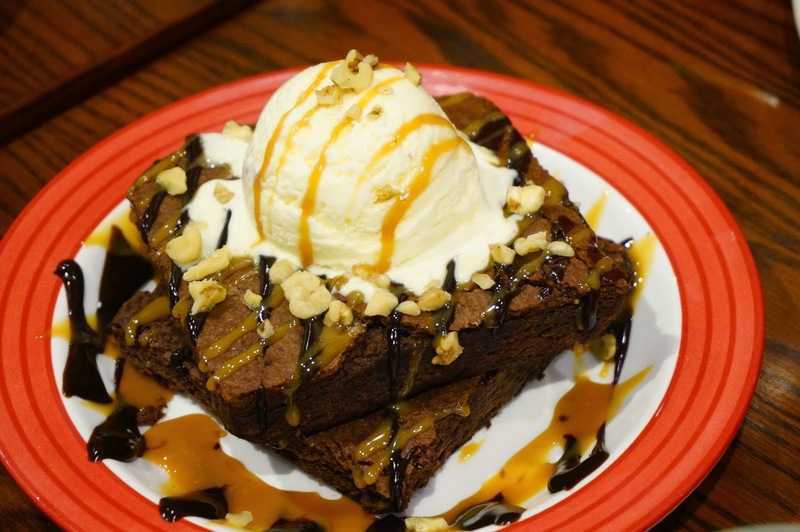 In celebration of 20 years of loads of great food and fun, TGIFriday’s Philippines takes guests on culinary journey featuring some of the best dishes across the USA. Have a ” Taste of America” until November 30, 2014 and savour new dishes that are popular in Chicago, Kansas and Miami and take pleasure in Southwest comfort food. 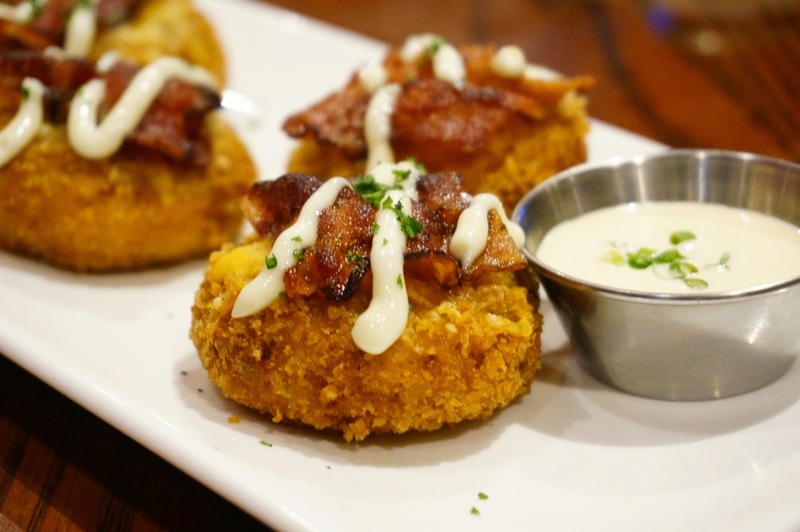 KANSAS MASHED POTATO CAKES– Taste deep-fried potato cakes that are stuffed with caramelized onions and mixed cheese, further topped with Colby cheese, crisp bacon and drizzled with horseradish cream. It is served with aioli sriracha dip. You may get on a road trip from Kansas to Florida and discover why the latter is one of the America’s hot spots. 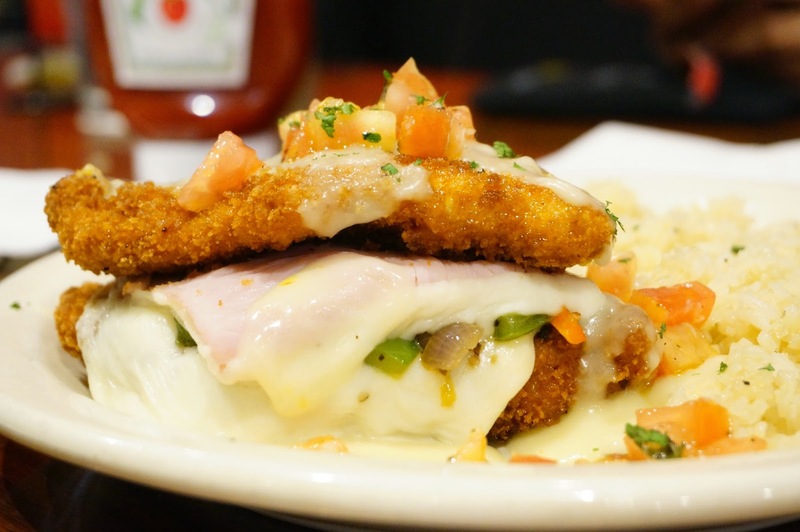 Or you may grab a plate of MIAMI CUBANO CHICKEN STACK, two lightly breaded chicken breasts that are stacked high with shredded mozzarella, sliced ham, and stir fry mushrooms to find out why. Thus all-star Cuban-style fare is drizzled with a lemon cream sauce, garnished with fresh tomato basil mix and served with rice pilaf. Then there’s rustic Southwestern cuisine. 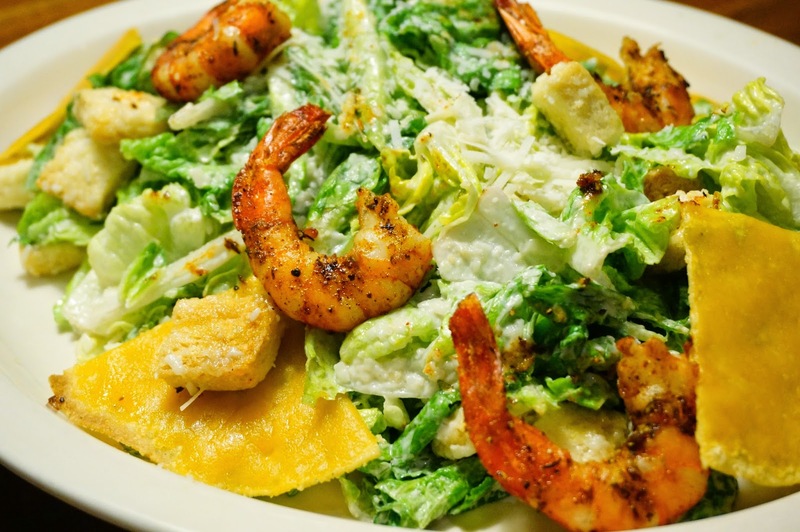 Start with SOUTHWESTERN SHRIMP CAESAR SALAD that has blackened plump shrimps sitting atop a Southwestern salad. This dish is served with a crispy tortilla chips to make the experience more colorful and authentic. 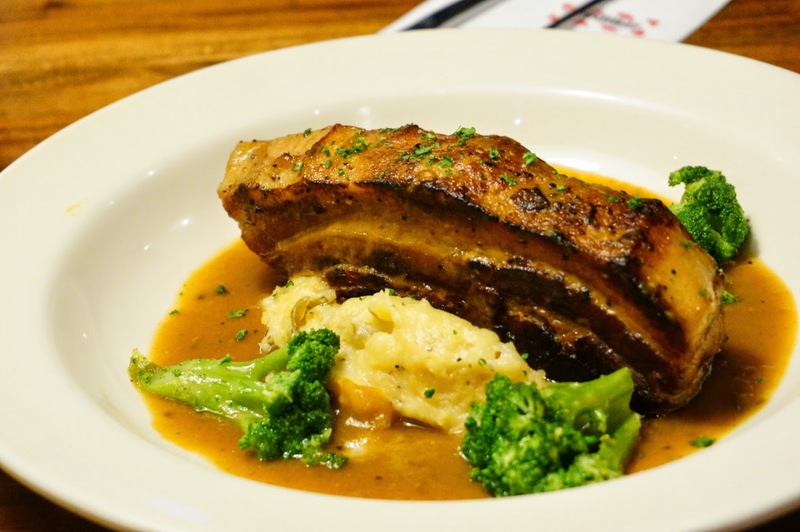 Also a MUST-TRY is CHICAGO PORK BELLY. Who loves chocolates? I’m definitely a Chocoholic. 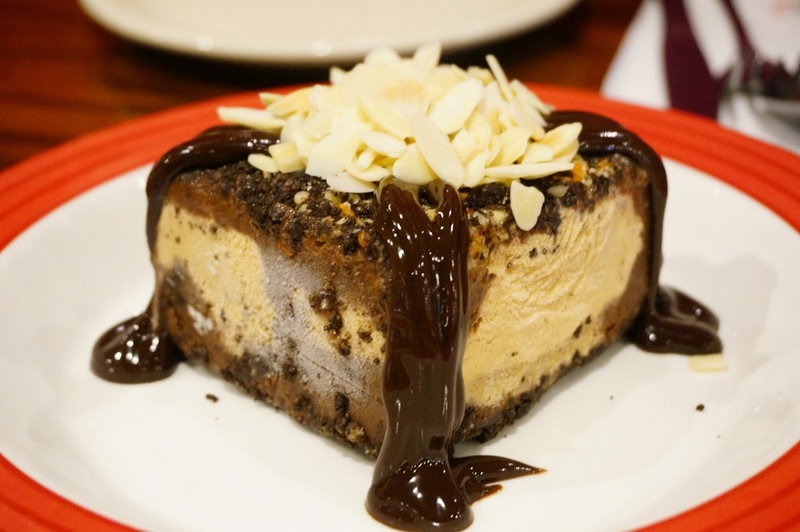 These BROWNIE OBSESSION and MOCHA MUD PIE really satisfied my Chocolate addiction.